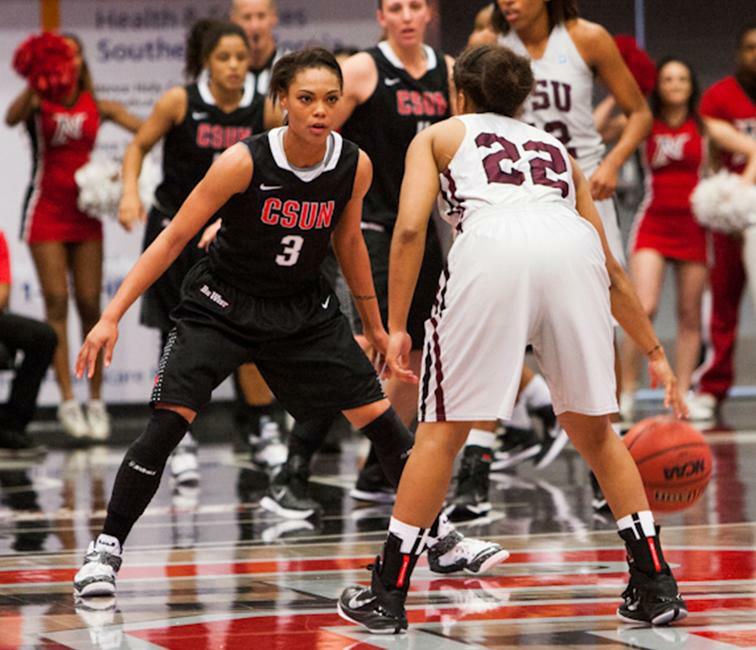 Lead by Tournament MVP and Senior center Camille Mahlknecht, the CSUN women’s basketball team defeated the Texas Southern Lady Tigers, 63-50 to be crowned champions of the 2014 Radisson Hotel Chatsworth Thanksgiving Basketball Classic, advancing to (6-0) on the season, Nov. 29 at the Matadome. 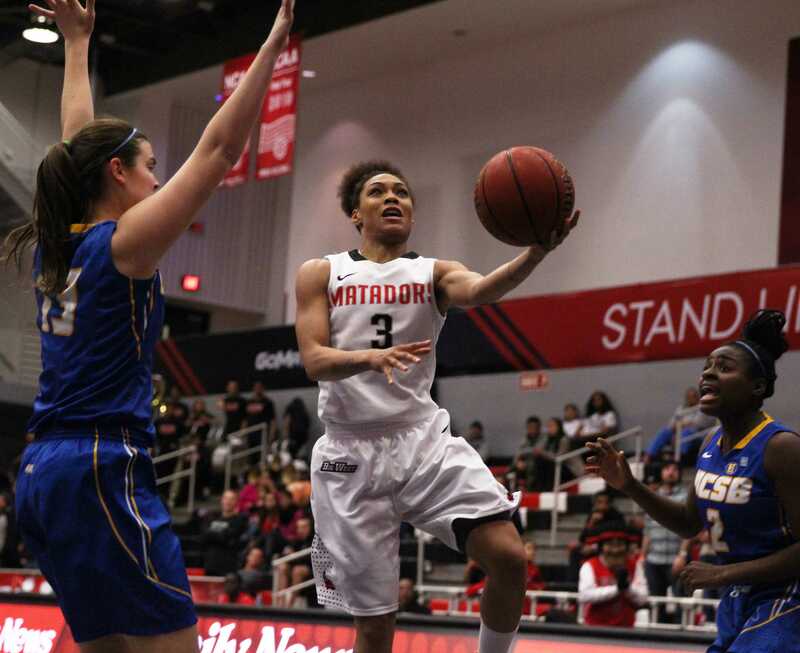 After their victory over Montana State on Friday, the Matadors stifled and smothered the Lady Tigers, whom were picked to finish second in the Southwestern Atlantic Conference preseason poll. The Lady Tigers had no answer for Mahlknecht, who finished with 14 points, 17 rebounds, three blocks and one assist in 31 minutes along with fellow seniors, guards Janae Sharpe, Ashlee Guay, and Cinnamon Lister whom all scored in double figures. The Matadors held them to 29.5% field goal shooting, 20% from the three point line and outshot them from the free throw line with 70% while the Lady Tigers shot 57.9%. The Matadors shot 42.4% from the field and 25% from the 3-point line. In the first half, the Matadors shot 12-31 for 38.7% from the field, 3-12 for 25% from the 3-point line and 5-8 from for 62.5% from the free throw line. The Matadors were down 20-16 with 15:59 remaining in the first half but then went on a 16-0 run that was ignited by a three pointer made by guard Ashley Guay which put them up at the half, 32-20. Texas Southern’s largest lead in the game was six points but they never lead in the second half and never trailed by less than eight points in the second half. The Lady Tigers shot 9-30 for 30% from the field, 1-8 for 12.5% and 1-5 for 20% from the free throw line. He said, Montana State shot the ball well from the perimeter. In contrast, Texas Southern played an attacking style. “So for us to be able to make that adjustment with minimal time in between games is really big,” Flowers said. In the second half, the Matadors shot 13-28 for 46.4% from the field, 3-12 from the field again and 2-2 from the free throw line. 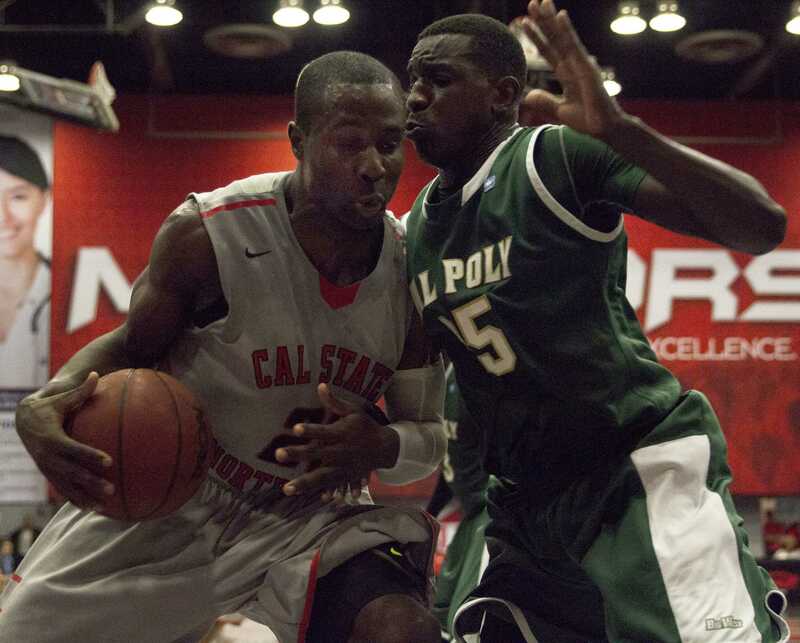 CSUN’s largest lead in the game was 19 points 3:09 minutes into the second half. Texas Southern had eight steals compared to the Matadors two. The Matadors lead the game with 44 total rebounds, 32 points in the paint, 16 second chance points, 16 assists, and five blocks. Mahlknecht lead the game in all rebounding categories with 17 total, 12 defensive and five offensive rebounds as well as five blocks. The tournament MVP came off the bench against Montana State but still averaged 11.5 points, 15.5 rebounds and 4.5 blocks for the tournament. Mahlknecht also finished second with 14 points scored on 7-9 shooting from the field against Texas Southern. Sharpe lead all scorers with 15 points on 5-16 shooting from the field, 1-3 from the 3-point line, 4-6 from the free throw line, and added eight rebounds, five assists, and one steal in 35 minutes of play. Lister finished with 12 points on 4-13 shooting from the field, 2-8 from the 3-point line, 2-2 from the free throw line, in addition to three assists in 29 minutes of play. Guay finished with 13 points on 5-11 shooting, 2-6 from the 3-point line, 1-2 from the free throw line while adding five rebounds and three assists in 36 minutes played. 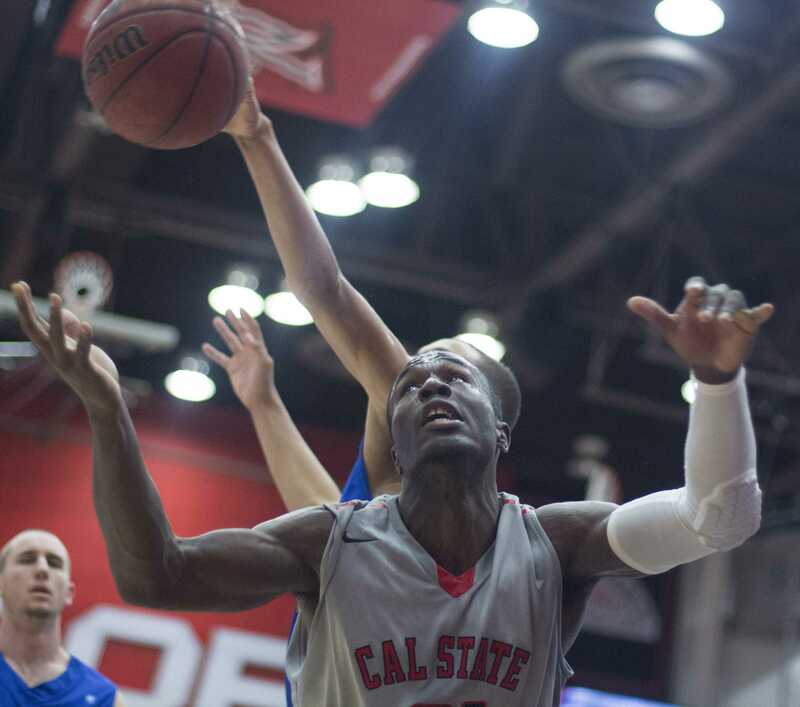 In comparison to their Big West opponents, the Matadors have the most wins to date (6-0) and along with UC Riverside (5-0), are the only remaining undefeated teams left in the conference. 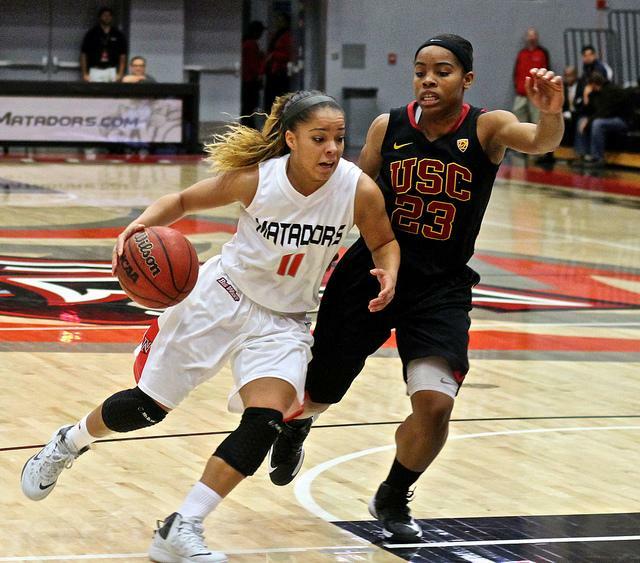 The Matadors play St. Mary’s in Moraga at 6 p.m. on Thursday, December 4.